Grace Jesse Ellis, age 80, passed peacefully away on Sunday, January 6, 2019. She was born on November 15, 1938 in Jamaica, NY to Samuel Ellis and Lillian Nelson. She continues to live on in the hearts of her family. Her sister: Bea Jillette, daughter: Triss (Jason) Blais, stepson: Tom Burby, grandchildren: Erin Blais, Nathan Blais & Abigail Burby. Grace also cherished her niece and nephews: Grace Hopkins, Andrew (Sheila) Hopkins, Tim (Denise) Hopkins & Joe Jillette. As well as numerous great and great-great nieces and nephews. Grace always loved and appreciated art and sharing that love of art with others. She earned her B.A. in Fine Arts from Skidmore College, teaching certificate from BU, and a M.A. in Graphics from University of California. Her career included positions as a graphic artist and art instructor in architectural, publishing, and educational firms. 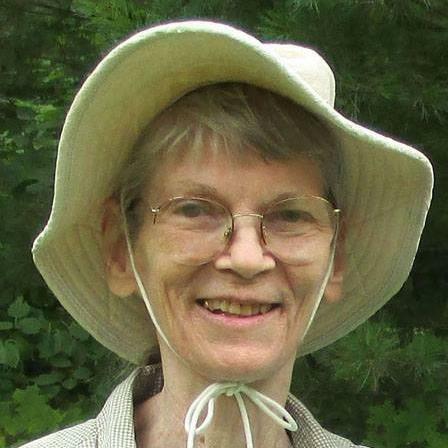 Grace was the art teacher at Hanover Street School, in Lebanon, NH, for 18 years. She then taught watercolor and drawing at AVA Art Center, in Lebanon, NH for 10 years, and then in her home. She received a jury membership in the NH Art Association and Vermont Watercolor Society. Her meaningful watercolor paintings have been exhibited in New England as well as in the USVI. Grace lived in the USVI for 7 years, a place that was dear to her heart. Many of her watercolors were inspired by the beauty of the islands and the lifelong friendships she made there. The Upper Valley was also her home for many more years, a place she could be close to family and friends. Grace and her sister shared a love of art and spent countless times painting together. Her daughter, son-in-law, and grandchildren will always cherish the laughter, love, and strength she brought them. She has been an inspiration to many people through her love of live and her caring heart. A celebration of her life will take place in the spring.